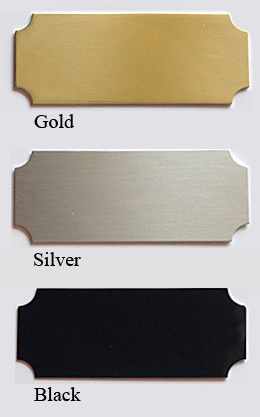 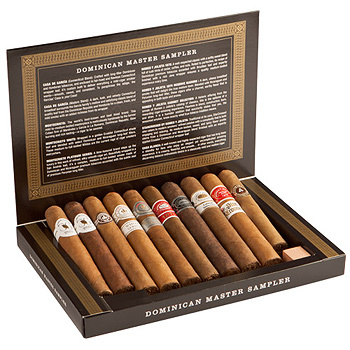 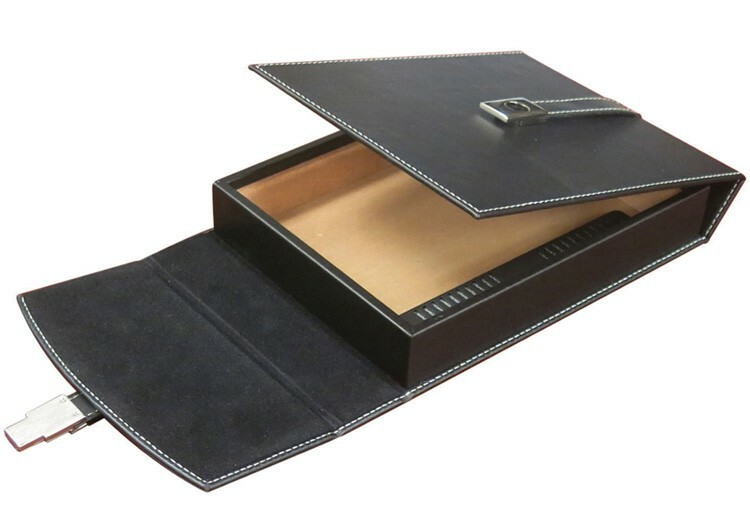 The Florence boasts a unique design in travel cigar humidors at an exceptional price! 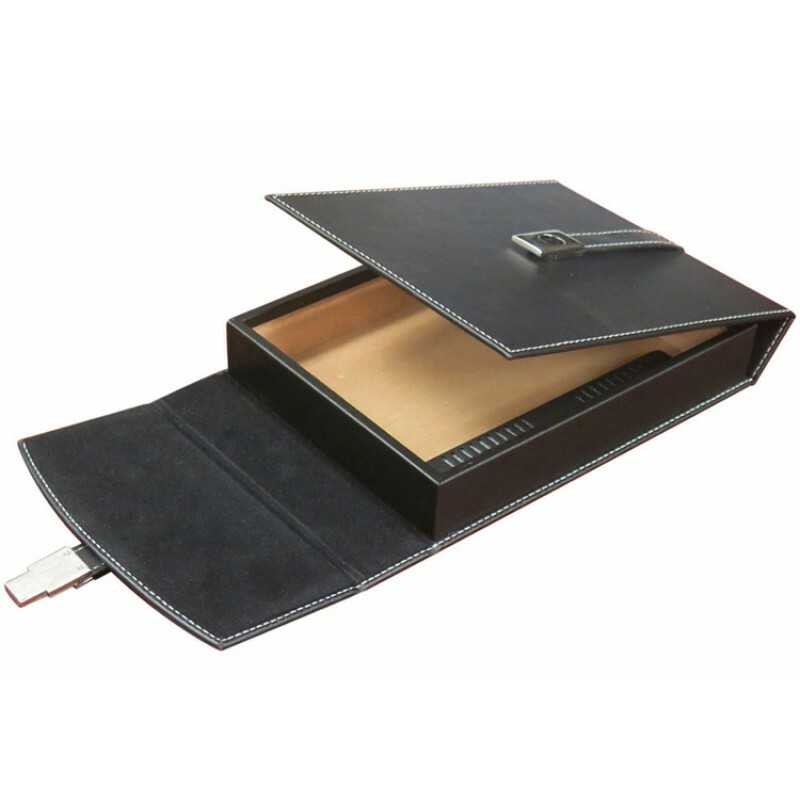 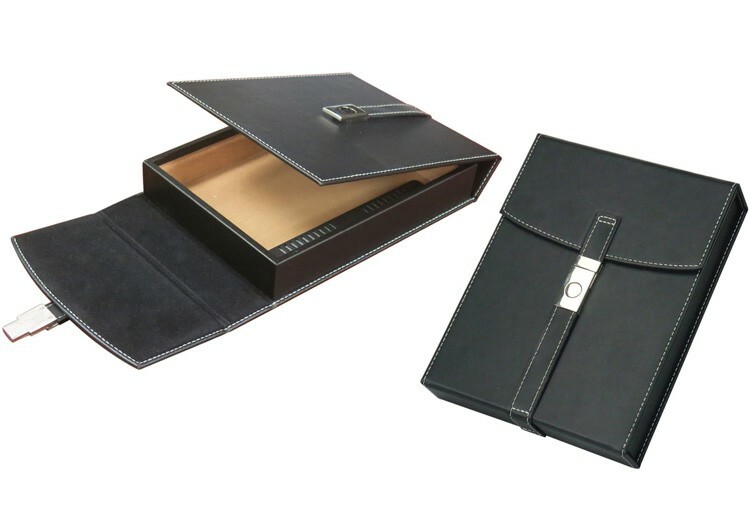 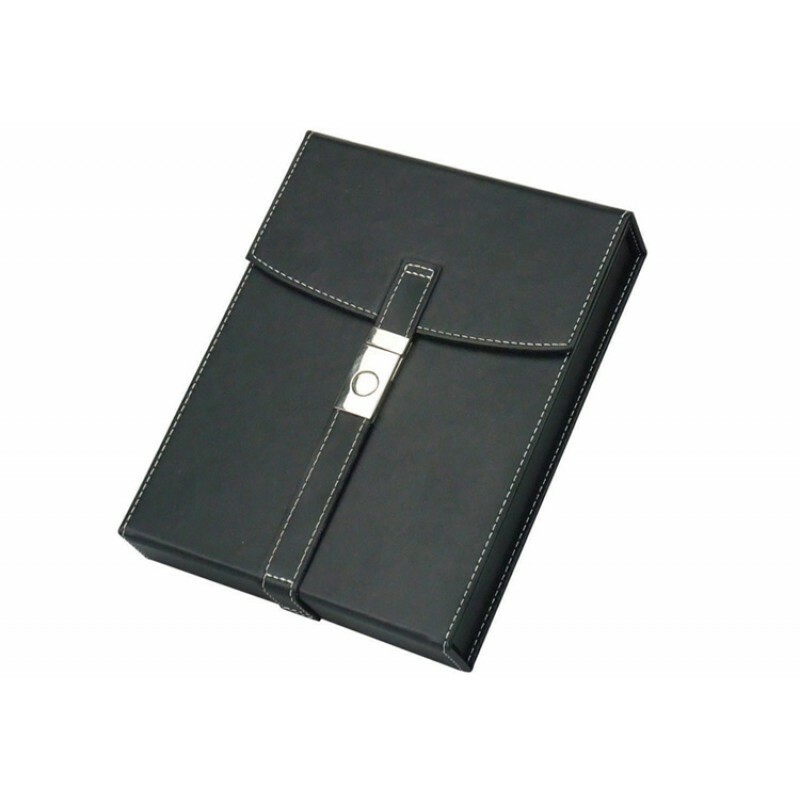 This sharp looking compact sized leather humidor features a black leather strap with chrome latch that keeps the humidor secure magnetically. 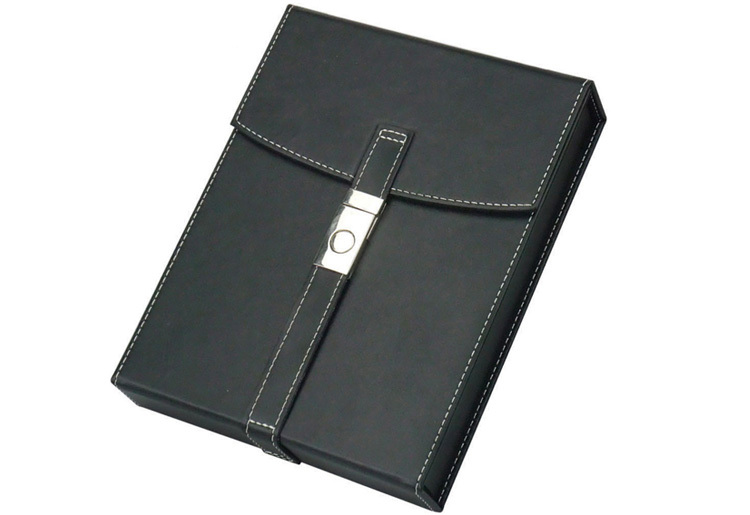 Its then finished off with white stitching which adds a nice touch of contrast. 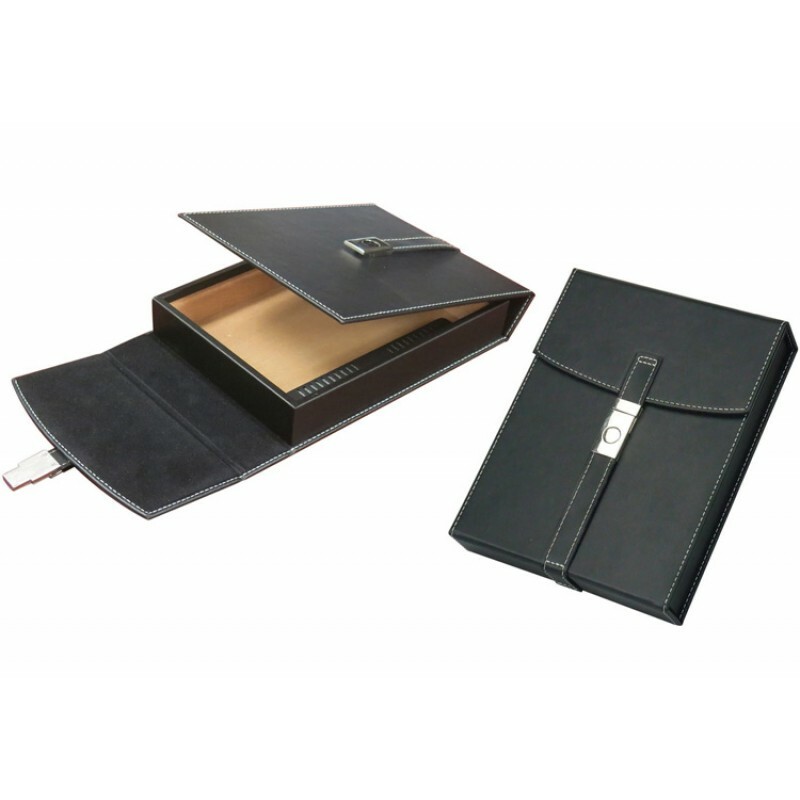 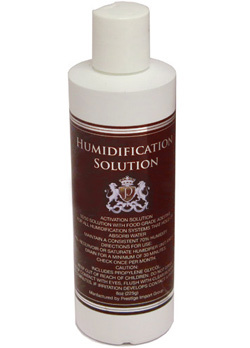 On the inside, there is a strip style humidifier and plenty of room to tuck away up to 10 smokes.